On Friday, the Democratic Convention announced a winner, New York State Senator, George Latimer, who received 71% of the vote. Despite the overwhelming result, Westchester County Legislator, Ken Jenkins stated that he will continue to seek the Democratic position in the September primary. The winner of the primary will run against incumbent and two-term Republican Rob Astorino in the November election. This race is shaping up to be a hot one, just in time for summer. There is a new health center on Mamaroneck Avenue near Columbus Park. Open Door Mamaroneck will have its grand opening on Thursday, May 25th.. The community is welcome to visit and tour the new facility, meet the staff and learn about services and programs. For more information, please call (914) 502-1410. The parking meter fees at the Village of Larchmont’s Metro-North Station will increase from five to six dollars and the twelve-hour, temporary parking permits for residents will double, from five to ten dollars on June 1st. The increases are the first since January 2011 and are being used to raise revenue in the village without increasing property taxes. The school budget for the Mamaroneck School District passed with 775% of the vote on Tuesday, May 16th, to efficiently top the 60% supermajority that was required for the budget to exceed the state tax cap. The related tax levy, that was increased by 2.25% was more than double the 1.04% that is allowed under the cap. The override of the tax cap will grant the district the ability to avoid cuts to staff, programs and services. Incumbent Steve Warner and newcomer Sam Orans were elected to the school board. The school budget for Rye Neck also passed with 77% of the vote. Board Trustee Deborah Aulfinger was re-elected and Jennifer Rubin was elected trustee for her first term. There is a new environmental challenge in the Town of Mamaroneck. Local Live reporter Hannah Urken went to find out more about the reusable bag initiative. The May meeting for the Larchmont-Mamaroneck Local Summit focused on the current state of immigration in our community. The Community Resource Center in Mamaroneck is helping immigrants with the navigation of the new laws. The speakers at the breakfast forum emphasized that immigrants need correct legal counsel in order to get due process regarding their status. Mamaroneck School District Superintendent, Dr. Robert Shaps gave reassurance to parents that their children will be safe in the district. You can watch the full summit at www.lmctv.org. The Railroad Way Flea Market returned on Sunday, May 21st with over fifty local vendors. On Thursday, May 18th, the Her Honor Mentoring program held their graduation luncheon and also celebrated their tenth anniversary. Judge Judy Scheindlin and Westchester County Executive, Rob Astorino spoke on the rewards of mentoring and the empowerment of our youth. Congratulations to all the mentees! Rob Astorino will be in the studio live in The Local Live studio on Thursday, May 25th to take the questions of residents. Please join in the conversation, via phone, email or Twitter with the hashtag ask-astorino. In our LMC Varsity Sports Play of the Week, the Rye Neck Baseball Team was losing to Blind Brook in a league game with major playoff implications. Catcher Jack Sheldon helped to keep the Trojans from increasing the score with a powerful throw. Our Pets of the Week are Pansy, a two-and-a-half-year-old black and white cat and Sherman, a year-and-a-half-old Beagle. Pansy has a lively personality and would prefer to be adopted with her best friend, Myles, another black and white cat, but she can also be adopted alone. Sherman is a typical Beagle-happy, outgoing, and friendly. He likes to follow his nose wherever it takes him. He is great with other dogs, children and even cats. For more information on either Pansy or Sherman, as well as other pets, please go to http://www.ny-petrescue.org. If you like our show and want to help keep us on the air, please visit our website, www.lmctv.org and click on the DONATE button. We appreciate any donations. The Local Live is always looking for interns and volunteers, so please send your emails to thelocallive@lmctv.org. We love hearing from you. On May 6th, Roxanda Cifuentes, a Harrison resident from Guatemala, was found dead at Beaver Swamp. According to the Harrison Police Department, this was a suicide. Cifuentes, who was fifty-four years old, is survived by her husband and three children. Her son, Marvin De Leon Cifuentes, who is a senior at SUNY-Purchase, started a Go Fund Me page entitled “Funeral for Roxana Cifuentes”. The page raised approximately $5,500 in one day. More donations would be helpful to the family. A service was held on Friday, May 1th at the Harrison Funeral, which is located on 329 Halstead Avenue. If you or someone you know is suffering from depression or is experiencing suicidal thoughts, you can call the Suicide Hotline at 1 (800)-273-8255. The drug-related death rate in Westchester ranks as the fourth highest among the largest counties in New York State and it has more than doubled in the last seven years. On Wednesday, May 10th, Larchmont Mamaroneck Radar, Village of Mamaroneck Mayor Norman’s Rosenblum Drug Committee, the Local Summit and the League of Women Voters gave a presentation for parents on how to navigate the drug crisis which is facing our community. Susan and Steve Salomone spoke about their son, Justin and his tragic life-long struggle with opioids and how this situation can happen to anyone. Mayor Rosenblum urged the community to be vocal about this issue with friends and family and he assured parents that this is a “crisis that we are tackling”. The county budget for this year includes approximately $50 million for education and opioid addiction. If you know anyone in our community who is struggling with addiction, they are not alone. For more information about local resources, go to LMRADAR.org. You can watch the presentation on http://www.lmctv.org. On April 24th, the Village of Mamaroneck adopted its $35 million budget for the fiscal year of 2017-18. The budget, which came in just under the state tax cap by $8, will go into effect on June 1st. More than 69% will go toward personnel services and benefits, as the Village has had to deal with the increase of pension costs, due to the 2008 recession. Non-union personnel will receive salary increases and the Village will also budget for one new position in the Village Department. Due to a reduction in property tax revenue, there will also be increases to fees and permits, which includes field rentals and building permit fees. At the Village of Mamaroneck Board of Trustee’s meeting on May 8th, Police Chief Christopher Leahy stated that the Village’s immigration policy has not been changed, and that no one should be afraid to contact the department to report a crime or incident. Police will not ask for immigration status in these cases. Recently, the Mamaroneck Town Council unanimously awarded ELQ Industries in New Rochelle a contract for nearly $1 million to resurface the roads on nineteen streets. The Board was satisfied with the contractor’s previous work and this year’s bid also included a $13 per ton reduction in the cost of asphalt. The residents that live on the affected roads will be notified prior to the beginning of the work which should start when schools close for the summer. On Sunday, May 8th, the news show “60 Minutes” featured an interview with 97-year-old Benjamin Ferencz who shared a lifetime of wisdom regarding humans in conflict. He is an author as well as a human rights activist. He is the sole surviving prosecutor from the Nuremberg War Criminals trials which were held after World War 2. When he was a law professor at Pace University twenty-seven years ago, he appeared on LMCTV and he provided the same message-that there is a better way for nations to settle their differences. The choices are not to go to war or walk away from injustice. The full interview that was produced by LMCTV’s Russel Harvey, is now a part the Steven Spielberg Film and Video Archive at the United States Holocaust Memorial Museum. The video is also available on www.lmctv.org. The Underwater Robotics Team at Mamaroneck High School, the Tiger Sharks won third place overall at this year’s Marine Technology Society MATE New England Regional ROV Competition in Massachusetts. The MATE Competition Network, which stands for Marine Advanced Technology Education, began in 2001 and consists of thirty regional events throughout the United States and the world. Congratulations to the Tiger Sharks. In other MHS news, a student team won the third annual Westchester County Mobile App Development Bowl, receiving the First Place Creativity Award. The contest is a joint initiative of Westchester County and Pace University. More than 440 students from local high schools and colleges competed to create mobile apps that will improve the lives of the elderly. The Mamaroneck Tigers had the most teams competing with a total of thirteen and Jigar Jadav, the MHS Computer Science teacher was named “High School Coach of the Year”. In our Round Table discussion, Maura Carlin spoke with Dr. Deborah Kaplan, Director of the Bureau of Maternal, Infant and Reproductive Health for the NYC Department of Health and Mental Hygiene and Alyssa Miller, Director of Public Affairs for Planned Parenthood Hudson Peconic regarding women’s health and their rights to health care. In Our LMC Varsity Sports Play of the Week, the Mamaroneck Girls Lacrosse team was already experiencing a comfortable lead against Rye High School when Madeline Riordan stole away a ground ball and found her twin sister, Nora right in front of the goal. The voting for the Best High School Play of the Year concluded on Sunday, May 14th. The winner will be announced on Wednesday, May 24th at the Annual LMCTV’s Award Show. In The Spotlight features Bu-tique in Larchmont. The store is showcasing its exclusive makeup products just in time for prom season. Local Live anchor, Alexandra Garcia went to the shop to find out the newest in makeup trends. Local Live reporter Mike Witsch spoke with Randi Spatz and Kaitlin Chieco about the upcoming event, Relay For Life that will be held on May 20th. Kate and Kayode Howard, hosts of Scriptly Live gave their weekly take on what’s new in theaters and trending on television. Our Pets of the Week are Rainbow, a cat and Winston, a three-year-old Lab Mix. Rainbow is an outgoing cat with beautiful captivating eyes and an interesting color pattern. While she gets along with other cats, she would do better as the only cat for a family with older children who will provide her with a loving environment that she craves. Winston gets along with small dogs and children. If you’re looking for a friend with loving eyes and an eagerly wagging tail, then he is the perfect dog for you. For more information on either Rainbow or Winston as well as other pets, go to http://www.ny-petrescue.org. If you like our show and want to help keep us on the air, please go to our website, www.lmctv.org and click on the DONATE button. We appreciate any donations. 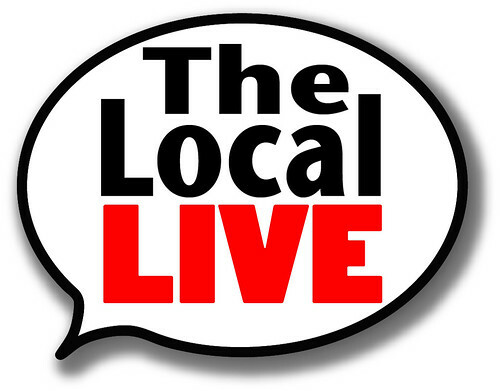 The Local Live is always looking for new volunteers and interns, so send your emails to thelocallive@lmctv.org. We love hearing from you. On Thursday, May 4th, an arrest was made in the hit and run accident that killed Vincent’s Truck driver Salvatore Brescia. Anthony Mangano, who is a fifty-one year old Queens resident was charged with a felony for leaving the scene of the accident. According to police, Brescia, who was thirty-two at the time of the accident, was assisting a disabled vehicle in the northbound lane on I-95 near Exit 18B on December 29, 2016. The Daily Voice reported that Mangano was arraigned in the Town of Harrison Court and was released on $2,000 bail. His next court appearance is Tuesday, May 16th. Last week, a special meeting was held to consider innovative development in the Village of Mamaroneck’s industrial zone around Fenimore Road between I-95 and the railroad. The meeting consisted of residents, business and property owners, who set a goal to attract new business and create a “maker” zone. MAKER is an acronym for manufacturing, artisanal foods, krafts, environmental buffer and recreation.The ambition for the group is a zoning change that will allow retail. You can watch the entire Land Use Summit meeting on http://www.lmctv.org. Hundreds of Mamaroneck Town homeowners were issued a surprise tax hike this spring. A letter that was sent from the town in April explained that according to an article in The Loop-NY, seven hundred and forty parcels were reassigned from Mamaroneck to New Rochelle’s sewer district to correct a long-term error. Since New Rochelle has a higher sewer tax, those parcels received larger bills. Town of Mamaroneck Administrator, Steve Altieri told The Loop, “in retrospect, we could have just advised people of the reclassification, but I am not sure that the taxpayers would have understood the meaning of that change”. The Community Resource Center of Mamaroneck was one of several local organizations that participated in the May Day Rally that was held in White Plains. Hundreds of people crowded the stairs of the county building on Martine Avenue to show their support for immigrant workers. The Mayor of White Plains, Thomas Roach, as well as other elected officials gave their support for the County’s immigrant workforce. Westchester County Clerk, Tim Idoni, spoke recently with Town of Mamaroneck Councilman, Tom Murphy about his choice to run for another term. Idoni, who has been in public service for over thirty-six years, has spent the last ten years as the County Clerk. In this role he manages county land records, handles Westchester’s naturalization services and he also serves as the clerk of the Supreme and Westchester County Clerks. What does he hope for in the election? He plans to use his incumbency advantage in order to get his name out there, to run an active campaign and to remain positive in being re-elected. While Idoni admits that County Clerk may not be the sexiest job in the world, he’s willing to fight to keep his position and he plans to do it with a smile. On April 21st, the Rye City Council voted to appeal a state judge’s decision over the control of Playland Amusement Park. In March, the judge threw out the original suit by the Council which left authority with Westchester County regarding planned capital improvements. Playland, which is located in Rye is owned by the County. Renovations are long overdue for the eighty-nine year-old amusement park, but have been put on hold due to litigation snags. The renovations include fixing the leaking Playland pool, which could cost up to $10 million on its own. The park will open for the season on Saturday, May 13th. On July 1st, Lina Cannavo will become the new assistant principal for Mamaroneck High School. She taught Spanish and Italian at Rye Neck for ten years. She also established data analysis districtwide and provided professional development for Rye Neck staff and supported students with learning and behavioral needs. Currently she is a community leader intern at the Community Resource Center. On Wednesday, Chloe Malushaga of Mamaroneck High School received the Youth Award Certificate, as well as the Congressional Certificate for outstanding achievement from St. Vincent’s Hospital. The hospital has been honoring high school students whose volunteer service best exemplifies the hospital’s mission since 1993. Neighbors for Refugees, previously known as Hearts and Homes for Refugees of Larchmont and Mamaroneck, recently announced a new event called “Welcoming Refugees, What You Can Do”. The event will be held at the Westchester Jewish Center on Sunday, June 11th from 2-5 p.m. The Larchmont and Mamaroneck Community will speak on behalf of refugees and will discuss ways to assist them. Holly Rosen Fink is the organizer of the event and said, “this event is to primarily inspire, and encourage people to act to help refugees”. The keynote speaker will be Jodi Kantor who is a New York TImes journalist. Others to speak at the event will be local politicians, and representatives from HIAS and Catholic charities. In our Round Table discussion, Maura Carlin spoke with Stephen Moser, Task Force Leader, Walk-able, Bike-able Town of Mamaroneck and Mitch Green, Chairman, The Sustainability Collaborative about bike routes in our community. In our LMC Sports Play of the Week, the Mamaroneck Softball Team trailed Yorktown by a score of 5-0. Shortstop Mia Steinberg started a much-needed rally with a triple. Don’t forget to vote in our online poll to determine the 2017 Play of the Year at www.lmctv.org. The poll will be available until Sunday, May 14th. The winner will be announce at LMCTV’s Annual Award Show on Wednesday, May 24th. The nominee’s are Mamaroneck Softball-Muratore’s playoff walkoff; Rye Neck Volleyball-Yannuzzi saves the Panthers; Mamaroneck Boys Soccer-Howse’s head saves the Tigers; Mamaroneck Field Hockey-Molly Banks home the winner; and Mamaroneck Ice Hockey-Dente’s overtime game winner. You can vote once per day. Also in sports news, two students from Mamaroneck High School organized a tennis contest, Aces For Alzheimer’s. The Westchester Children’s Museum celebrated its first birthday on Sunday, April 30th. Local Live reporter Mike Witsch was on the scene to cover the festivities. Also on April 30th, the second annual Mamaroneck Food Truck & Makers Market was held on Fayette Avenue. Local Live reporter Ian Sacks filed a report on the event. Our Pet of the Week is Sunflower, a sweet three-year-old black cat who loves the camera and would make an excellent social media buddy. She gets along well with both people and other cats. For more information about Sunflower and other adorable pets, go to www.ny-petrescue.org. If you like our show and want to help keep us on the air, please go to our website, www.lmctv.org and click on the DONATE button. We appreciate any donation. The Local Live is always looking for new interns and volunteers, so send your emails to thelocallive@lmctv.org. We love hearing from you. On April 27th, Village of Mamaroneck Mayor, Norman Rosenblum held a press conference in front of the Village Court House to announce his candidacy for Westchester County Legislator representing District 7, which covers Mamaroneck, Rye, Larchmont, part of New Rochelle, part of Harrison. Rosenblum, who is a Republican will run against incumbent Legislator Catherine Parker, who is a Democrat. You can see the full press conference at our website, www.lmctv.org. In other political news in the Village of Mamaroneck, Deputy Mayor Lou Santoro will not seek re-election to the Village Board in November. Santoro, who is Republican and a lifelong Mamaroneck resident, will finish his fourth term and eighth year on the Village Board. “It has been my pleasure and truly an honor to serve the Village of Mamaroneck and its residents for most of the past decade,” Santoro said. “The time has come for me to move on to the next chapter, but I am extremely proud of the work Mayor Rosenblum and I have done on behalf of the ‘Friendly Village’. It is my hope the Board continues to work together to better our local community and its citizens.” Santoro, who is also a former Village of Mamaroneck Fire Chief and employee of Westchester Joint Water Works, plans to enjoy his retirement spending time with his family. Friends and family converged at Mamaroneck High School’s soccer field to honor Douglas Alvarez with religious hymns and white balloons. Alvarez was a 2016 graduate and star soccer player who was killed in a car accident on Saturday, April 22nd in upstate New York. As a freshman at SUNY-Cobleskill, the eighteen-year-old had planned to study business agriculture and nursing. He played soccer for the SUNY school and and for F-C Westchester when he was in high school. On Sunday April 23rd, the Mamaroneck School District expressed their condolences by tweeting “rest in peace”. He is survived by his mother, sister, brother and several other relatives. His sister, Diana Velasquez has created a Go Fund Me page to help cover expenses. The aim was to raise at least $7000. As of April 27th, the page has raised more than $26,000. A wake was held on Friday, April 28th at Coxe and Graziano Funeral Home in Mamaroneck and the funeral was held at Saint Vito’s Most Holy Trinity on Saturday, April 29th. Village of Mamaroneck police officer, Jose Gomerez, who is of Dominican descent has filed a lawsuit to sue the Village of Mamaroneck Police Department and the Village Police Benevolent Association on the count of racial discrimination. He claims that the police department and PBA changed policy that only affected him to take away seniority benefits that he had been promised and entitled to have. The suit lists Police Chief, Christopher Leahy, PBA President Charles Deshensky as well as seven other members of the Village Police Department. Gomerez claims that they retaliated against him after he complained about the policy change. Two years ago, he found racist literature in his police mailbox. He filed a complaint with the US Equal Employment Opportunity Commission, but he was told that there was insufficient evidence to pursue an investigation. Chiel Leahy, declined to comment due to the pending litigation. Next year’s Mamaroneck School budget is up for a tough battle. During the weekend of April 22-23, an opposition flyer appeared on theloop.com that urged residents to vote “no” on May 16th, citing the tax cap override, reduction in staffing as enrollment increases, a 6% increase in the school’s superintendent salary, the addition of a new assistant superintendent and the elimination of the APPLE program at Mamaroneck High School. Sources say the district’s action on APPLE is the motivation behind this moment. Shortly after the flyer was posted, Murray Avenue PTA President, Melanie Kraut wrote to The Loop to express her support for the budget and to dispute allegations of the superintendent’s salary increase. She explained that the 6% increase is for staffing in the superintendent’s office and a $21,000 retention was awarded to Dr. Shaps by the Mamaroneck Board of Education. Kraut also argued that the proposed budget is fiscally responsible and the redesign of the APPLE program will provide students with support. Community members have expressed their own opinions both for and against the budget. The vote is May 16th and will require a 60% vote in order to pass due to the tax cap being exceeded. If the vote does not pass, district spokesperson Debbie Manetta said that the board would then work on another budget that could remain the same or be slightly different. If the second budget fails, the district would then go to a contingency budget that could potentially require deeper cuts. The Local Live will follow this story as well as the budget vote. On April 21st, New York State Senator Andrea Stewart Cousins gave an impassioned speech to the Sound Shore League of Women Voters regarding the importance of community involvement in government. She underlined the importance of voting, warning that not voting will, “allow a backwards slide…” She said that the LWV is encompassed of powerful people who, with the right organization can make sure that the state does not repeal laws that benefit women and minorities. You can watch the full video at www.lmctv.org. On Saturday, April 29th, the Village of Larchmont held an unused or expired drugs drop-off at the Larchmont Village Hall lobby which is located at 120 Larchmont Avenue. For more information on this event and possible upcoming events of the same type, please visit http://www.dea.gov. The Planning Board of the Village of Mamaroneck met on April 26th for further discussion of Ralph’s Italian Ices. A team of five representatives debated for an hour and half regarding recent improvements made to the parking lot and along the side of the building which needs approval from the Board. Ralph’s repeatedly stated that changes were made in response to the many complaints about traffic flow, parking, trash, noise and safety. The Planning Board members were not convinced, causing some members to say that there’s just no way to solve the problem what they referred to as “circulation” meaning the safe flow of cars and customers around the property. Neighbors of Ralph’s also commented and showed video of how unsafe parking, street crossing and long lines of customers were last summer. They stated that this is an accident that is waiting to happen and they made made anguished pleas for the Board to restore the peace and quiet to the neighborhood. Also mentioned was the empty space that lies next door to Ralph’s. The landlord of the building spoke and said that he may rent it to a coffee shop, but would definitely not rent the space to a burger place. Finally, after a two-hour devotion to solely just Ralph’s, the Planning Board gave the ice cream store even more time to address the circulation and safety of customers…as well as a potential new eatery next door. There were many other items on the agenda. You can watch the full meeting on www.lmctv.org. Our Pets of the Week are Bunny and Lady Bug. Both are three and a half month old puppies. Bunny is tan while Lady Bug is black. They love belly rubs, hugs and licking faces. They are best friends, but can be adopted separately. Currently, they are learning how to walk on a leash. For more information on either Bunny or Lady Bug and other pets, visit http://www.ny-petrescue.org.